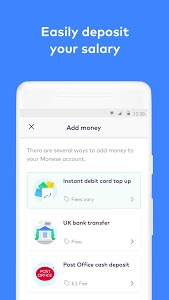 Monese is the multi-currency mobile banking alternative that’s locally smart and globally connected. 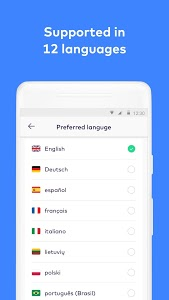 Use it to open a fully functional current account instantly, straight from your phone, and gain access to more features and services than you can shake a stick at - all celebrated by a 9.1/10 TrustPilot score. 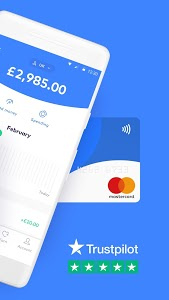 Get started today and in just 2 minutes transform your phone into a one-stop local banking branch where you’ll be able to send and receive money, get your salary paid in, set up Direct Debits and Recurring Payments - all while maintaining a complete overview of your earning and spending. You’ll also be able to withdraw cash from ATMs worldwide and to top up with cash at nearly 40,000 Post Office and PayPoint branches across the UK. 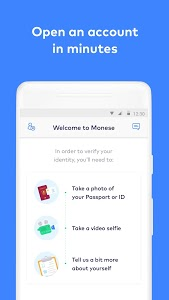 Supported in 12 languages and free of all those pesky hidden fees associated with traditional banks, Monese lets you open an account without need for proof of address or credit checks. Just have your passport or your national ID card to hand! Moving from London to Paris to Bucharest and back to London? No problem! 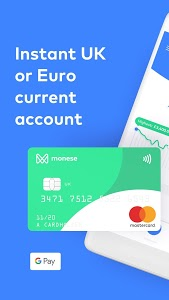 Unlike other mobile-only accounts, Monese is fully portable across 20 European countries and designed to help you bank like a local wherever you are. 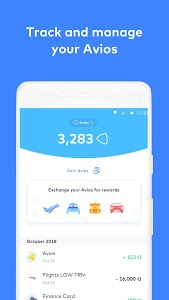 So regardless of where you choose to live - whether it’s for frequent travel, work, study, family, or retirement - you can enjoy a smart, secure and connected banking service in your pocket. • A UK current account or a European IBAN account. 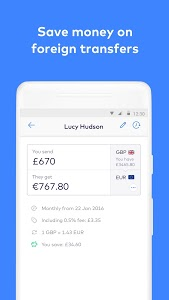 • An optional secondary account (£ or €) at no extra cost. • An optional contactless Mastercard debit card you can use globally - online, in-store or at ATMs. • The ability to quickly send and receive money locally and internationally. • A helpful and caring customer support team, available via in-app chat, email and phone. • A 100% secure banking platform that’s regulated by the UK Financial Conduct Authority. • A seamless way to link your British Airways Executive Club account, so that you can manage your Avios and your money, all in one place. • Smart Transactions - see a detailed overview for every payment you make. • Multiple ways to top up your account quickly, like instant debit card top-ups. 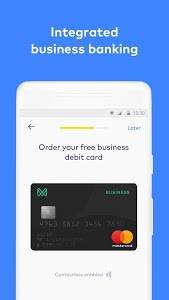 • An easy way to manage your Direct Debits and Recurring Payments to pay things like mobile phone contracts, rent, or gym memberships. • State-of-the art security features such as locking or unlocking your card on the go, as well as 128-bit encryption (used by all major banks). • A way to earn money by inviting your friends and family - we'll give you both a reward when they top up their newly opened Monese account! • STARTER (£/€ 0.00 per month) to get going for FREE. • PLUS (£/€ 4.95 per month) which includes 6 free ATM withdrawals, competitive foreign currency exchange rates and even more affordable top-ups. • PREMIUM (£/€ 14.95 per month) which includes UNLIMITED free ATM withdrawals, completely free foreign exchange transactions and top-ups. • BUSINESS (£ 9.95 per month) which gives you access to all the features of a UK business account and a Plus personal account at no extra cost. You can open an account with us regardless of your citizenship or financial history, as long as you’re at least 18 years old and live in the European Economic Area (EEA). You can now link your Monese card to your Avios account, so you can collect Avios when you spend at selected retailers! If you love our app, then don’t forget to rate us! 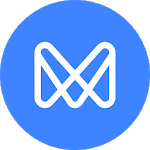 It genuinely makes it easier for others to find us, and your feedback helps make Monese better every day. Similar to "Monese - Current Account"